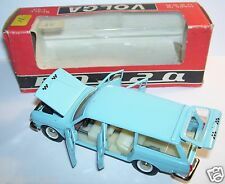 Volga GAZ 24 Break VOLGA GAS "Ambulance", Radon novoexport UdSSR USSR CCCP 1:43! Volga Gas 24 Volga GAZ 24 in Gray Grey, Radon novoexport Soviet USSR CCCP 1:43? 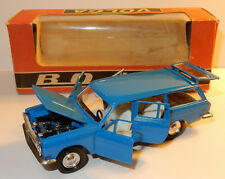 Volga Gas 24 Volga GAZ 24 in Blue, Radon novoexport UdSSR USSR CCCP 1:43? Volga GAZ VOLGA GAS 24 M. Radon novoexport USSR CCCP USSR in 1:43 Boxed! This page was last updated: 26-Apr 01:38. Number of bids and bid amounts may be slightly out of date. See each listing for international shipping options and costs.